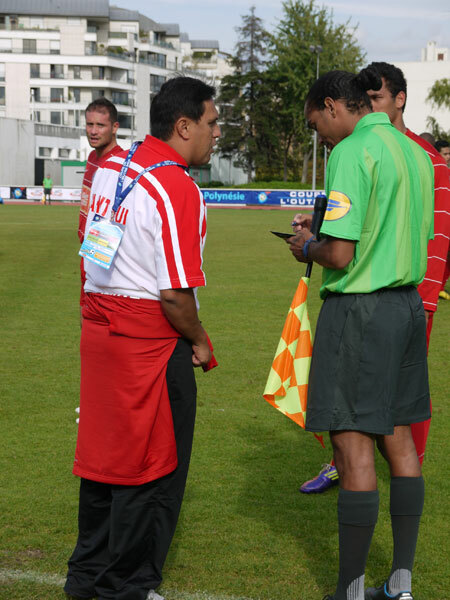 World Soccer: Tahiti qualified for the Confederations Cup by winning the Oceania Nations Cup in 2012. That was the first time a team other than New Zealand or Australia had won. That looks like a surprise but in 2009 Tahiti qualified for the Under-20 World Cup. Tahiti also reached the final of the Oceania Under-17 championship three times in a row from 2007 and in 2012 Tefana became the first Tahitian club top qualify for the final of the O-League. Is this evidence of a wider improvement? Eddy Etaeta: Yes, all of this, including going to the Confederations Cup in Brazil, is the result of what started in 2000. 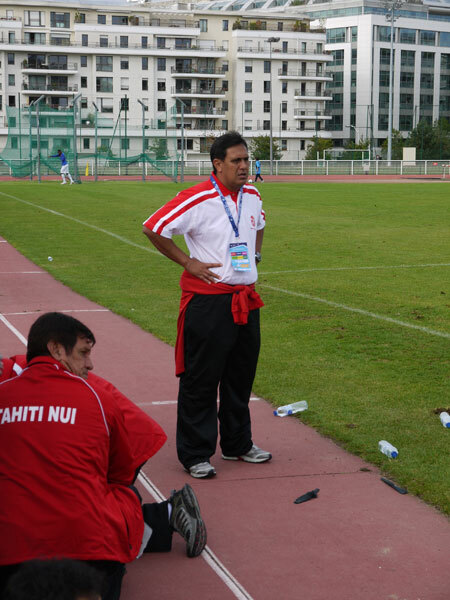 That year the FTF [Fédération Tahitienne de Football] committee gave me a job and the chance to start to seek a high level for the players of Tahiti. Now we have an academy and we are at that level and have that chance because of all the work we have done since then. The FTF was only formed in 1989 and joined FIFA a year later. Was that a driver for change in Tahitian football? We had the affiliation with FIFA yes, but before that we had the affiliation with the French federation. Even in 2000 there was nothing in Tahiti, no development, no grass roots, no qualified coaches, nothing. So there was no tradition of Tahitian players playing overseas before then? No, not at all; now we have Marama Vahirua who has played for five professional clubs in France [Nancy, Nice, Lorient, Nancy and Monaco] and is now in Greece. We also have some other players who have had a chance to be a professional in France. They do not stay so long because they are a long way away from their family and their island in Tahiti. But I believe over the next few years these players will have the chance to play professionally, maybe not in France but maybe in Australia, or Japan or New Zealand. That is not so far away from Tahiti. 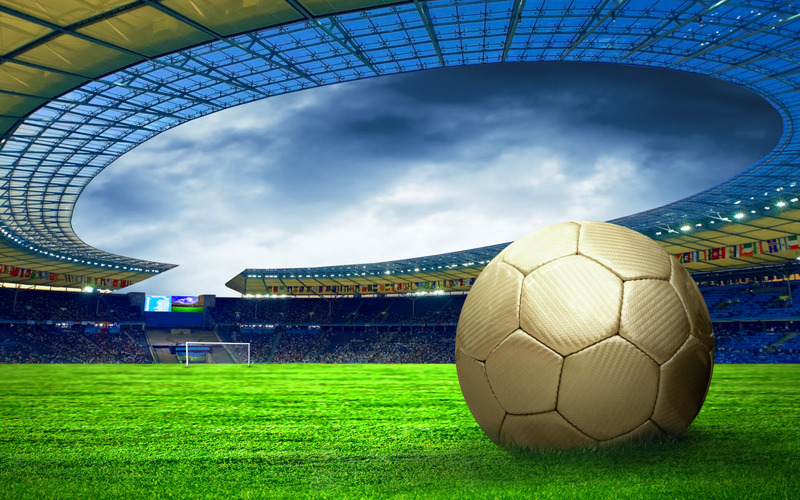 Do you feel that the achievements of Tahiti’s footballers are recognised back at home? People notice the good results like the O-League final with Tefana and the Nations Cup victory. My disappointment is that we do not see these people coming to matches; that the support is not there. There are lots of people with licences to play, but the crowds do not come to the stadium. Our country is a disappointment for that. At our last home game with New Caledonia I was very surprised that we did not have a lot of people there. Only 1,500 people came to the stadium. When did Tahiti’s preparations for the Confederations Cup start? They started at the finish of the 2012 Nations Cup after our 1-0 victory over New Caledonia. That’s why we had some games before to prepare for the Confederations Cup, like the Overseas Cup in Paris. That was the objective yes, to go so far as we could, but to be competitive was the most important. In the Under-20 World Cup, Tahiti successfully qualified under French coach, Lionel Charbonnier, but at the finals in Egypt lost all three games heavily, losing 8-0 to Spain and Venezuela and 5-0 to Nigeria. At this year’s Confederations Cup finals, Tahiti – a team drawn from a population of just 180,000 and with one professional player – will play European and World Cup holders Spain, African Cup of Nations champions Nigeria and Uruguay, winners of the last Copa American in 2011. Are you concerned about more heavy defeats? Now we have more experience. The Under-20 World Cup gave us more experience, but to play against teams like Spain is still incredible for us. We must prepare well, so we are not ridiculous at the Confederations Cup. We want to prepare very well and we need some more big games. There are 118 islands in French Polynesia but the nearest big landmass is Australia, which is 5,700 kilometres away. You can’t just nip over for a game. What can you do to compensate for this isolation? We are so far from the big nations, that’s why we must have some big games before the Confederations Cup starts. We asked our committee to arrange some games at a high level, perhaps Japan, that’s not so far from Tahiti, or perhaps Australia, Chile, or Argentina. They are not so far from Tahiti. Before we arrive in the Confederations Cup, we must play some big games. It’s not so easy for us, our players are amateur, not professional. 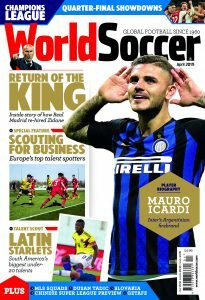 We have some players from the Under-20 World Cup in Egypt in our team. But we want need more players to play professionally, to have more development and to play more big games. Players like the brothers Tehau and Steevy Chong Hue have the possibility to play overseas. Players just want to play. If they were offered a contract, of course I would have told them just to go. But the Confederations Cup is their shop window then, their chance to impress? Yes, this is their chance. What will you do after the Confederations Cup? I joined the FTF in 2000 to develop the grass roots and in 2009 became the technical director. I know this is not forever. After Brazil, I would like to do something not so intense, to maybe concentrate more on the grass roots again.